41 organizations serving youth endorsed NN4Y’s comments in response to HUD’s solicitation of comment to specific issues regarding ESG. 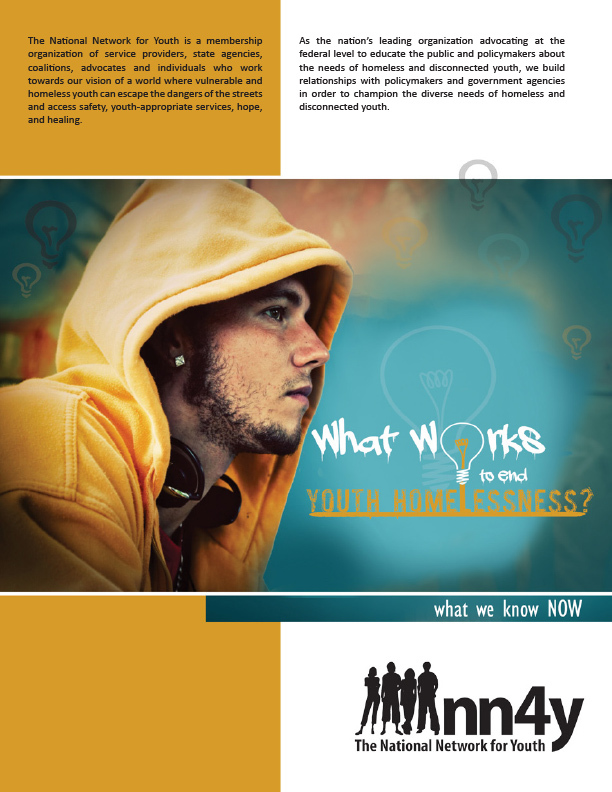 These recommendations are responsive to what youth and providers are experiencing on the ground and are intended to remove barriers that keep youth experiencing homelessness from accessing what they need when they need it. 17 organizations who interact with their local labor/workforce boards endorsed NN4Y’s comments on the implementation of the newly enacted WIOA which funds and regulates programs such as Jobs Corps and other Youth Formula Funded programs administered by the U.S. Department of Labor. You can view our two-part comments in the Federal Register HERE and HERE. 25 organizations endorsed NN4Y’s comments on the proposed rules to expand the data collected under the Adoption and Foster Care Analysis and Reporting System (AFCARS). 121 organizations and individuals signed on in support of the comments and recommendations that the National Network for Youth compiled and wrote. These recommendations were the result of expert input from service providers, community workers and other interested parties. The National Network for Youth gathered input from the field, hosted a national conference call with members, and has submitted ideas for changes we would like to see included in the 2014 Opening Doors Amendment. For the first time in his six years in office, the President’s budget includes increased funding for the only two federal programs specifically dedicated to homeless children and youth. Additionally, we are requested $150 million of HUD homelessness assistance funding for unaccompanied homeless youth.